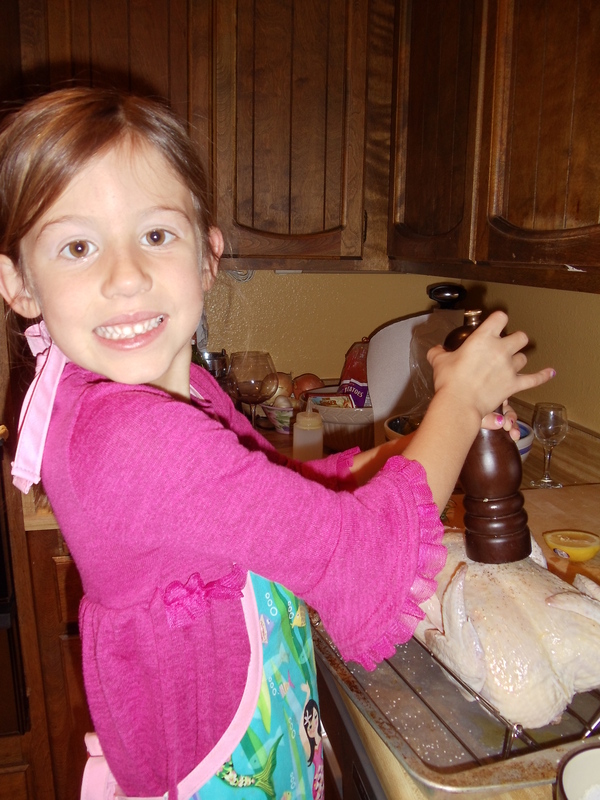 This chicken is so easy, Bella can make it! Serves a family of three about 3 times, you do the math for your family. Heat oven to 375 degrees. Rub chicken all over with olive oil, garlic powder, salt and pepper, including the cavity. Stuff the cavity with the lemon, onion and herb sprigs. Place chicken in a roasting pan and leave out of refrigeration for 30 minutes, allowing the chicken to become closer to room temperature. 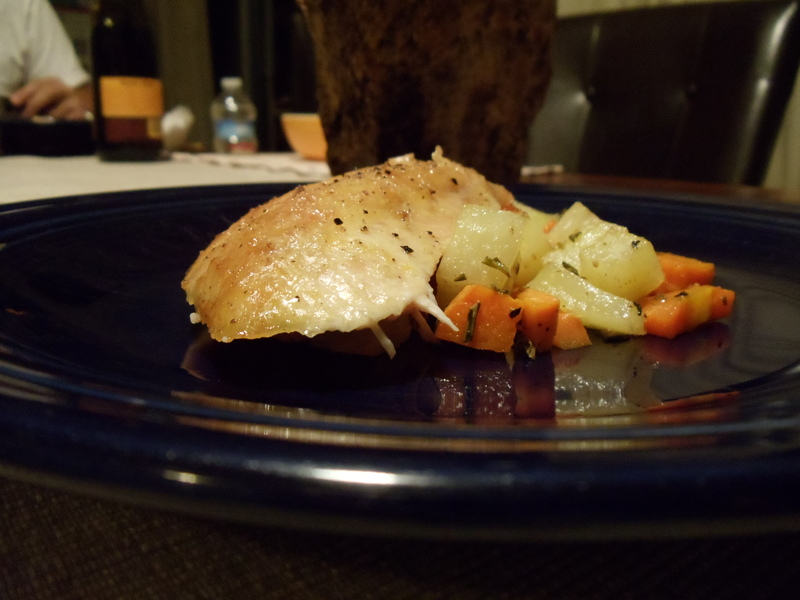 Place chicken in the oven, and roast for one hour, until skin is browned and crisp, and the juices run clear when chicken is pierced with a knife at the thigh. Alternately, you could use a probe thermometer and bring to 165 degrees. Let chicken rest for 10 minutes before slicing.